This recipe is great and easy to make for a quick meal at lunch! 1.) Wash, dry your cucumbers and dills. 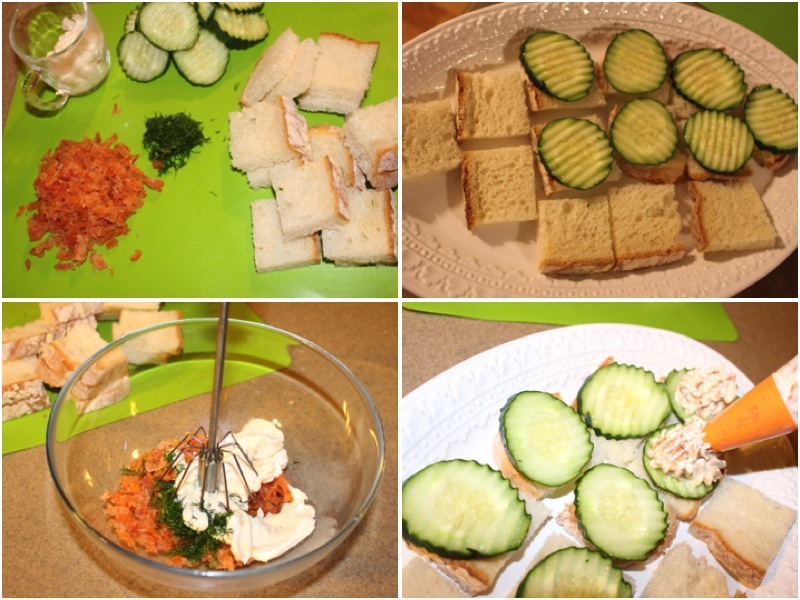 Cut your bread and cucumbers, also cut your salmon file and dills. 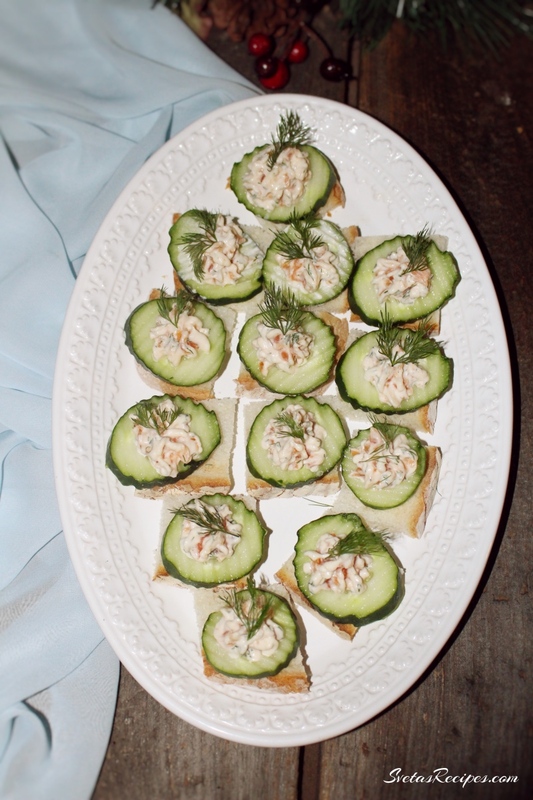 In your serving dish arrange your pieces of bread and add 1 slice of a cucumber to each one. In a small bowl add your salmon, dills and mayonnaise. Mix well until it is a fine mixture. Using a decorating bag pipe out small flowers on each piece and add some dills. Enjoy! Wash, dry your cucumbers and dills. 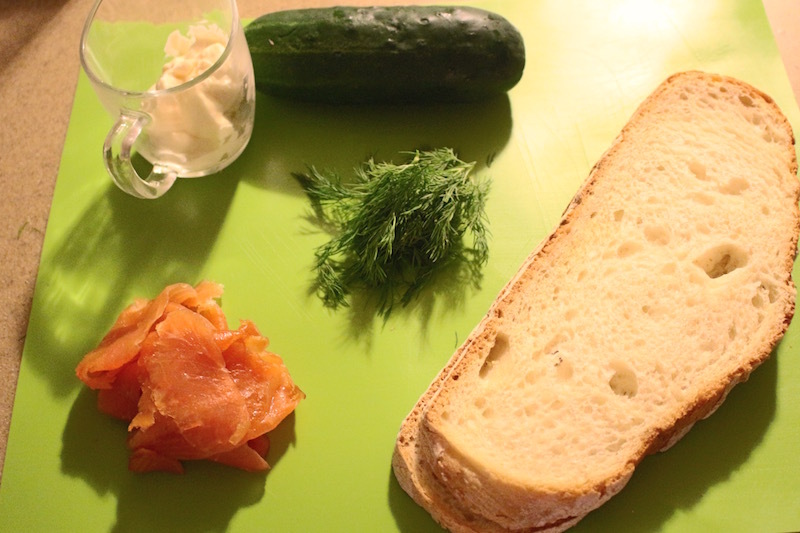 Cut your bread and cucumbers, also cut your salmon file and dills. 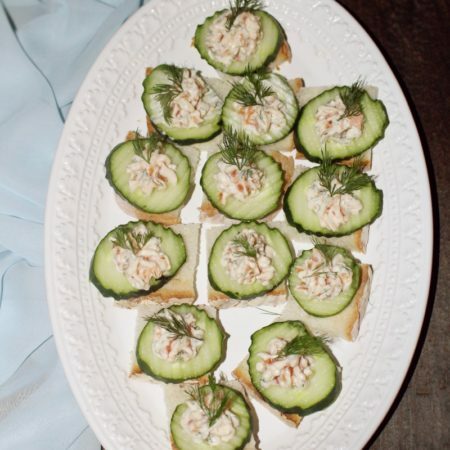 In your serving dish arrange your pieces of bread and add 1 slice of a cucumber to each one. In a small bowl add your salmon, dills and mayonnaise. Mix well until it is a fine mixture. Using a decorating bag pipe out small flowers on each piece and add some dills. Enjoy!